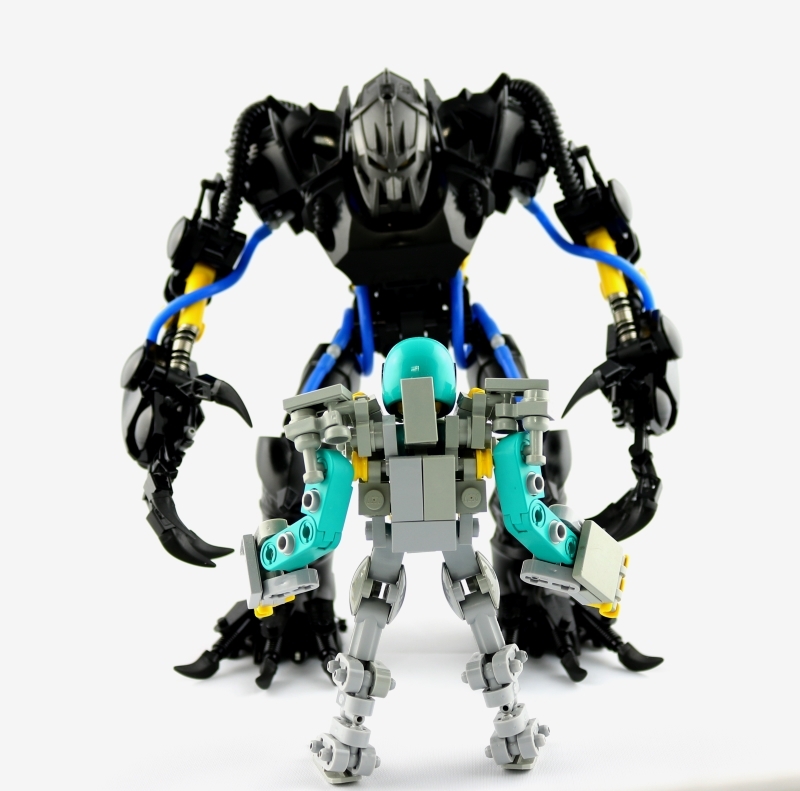 Built some competition for an old MOC of mine. Topic to come later today. Also hi, it's been a while. So I took some better pictures and posted a topic. Y'all should check it out if you have the time. It's been awhile BZP. A long while actually. Over two years since my last build. (Kreger, which I built in Dec of 2011 but didn't post until June 2012). But I'm back at it again, and, hopefully, I'll be building considerably more frequently. I brought some pieces out of storage to my apartment, so the plan is to build more. We'll see how that goes. First off, you'll have to pardon me on the photo. My lightbox got destroyed in all of my moving around and I seemed to have misplaced my lamps/camera/tripod, so all I have right now is my cell phone and terrible lighting. Man did it feel good to sit down with my pieces all spread out and put stuff together though. Definitely something that I have been missing. I can't wait to build some more. I'll be seeing you around BZP. So whoa, forgot this thing still existed. Anywho, been really busy and such this past year, doubt that I'm going to be any less busier. Shipping out to Utah for a week on Sunday and then moving into a new apartment when I get back, so I don't think I'll be by the pieces for a good while. Well, to start things off, first year in a loooooooooong while that I did not get any Lego whatsoever for Christmas. 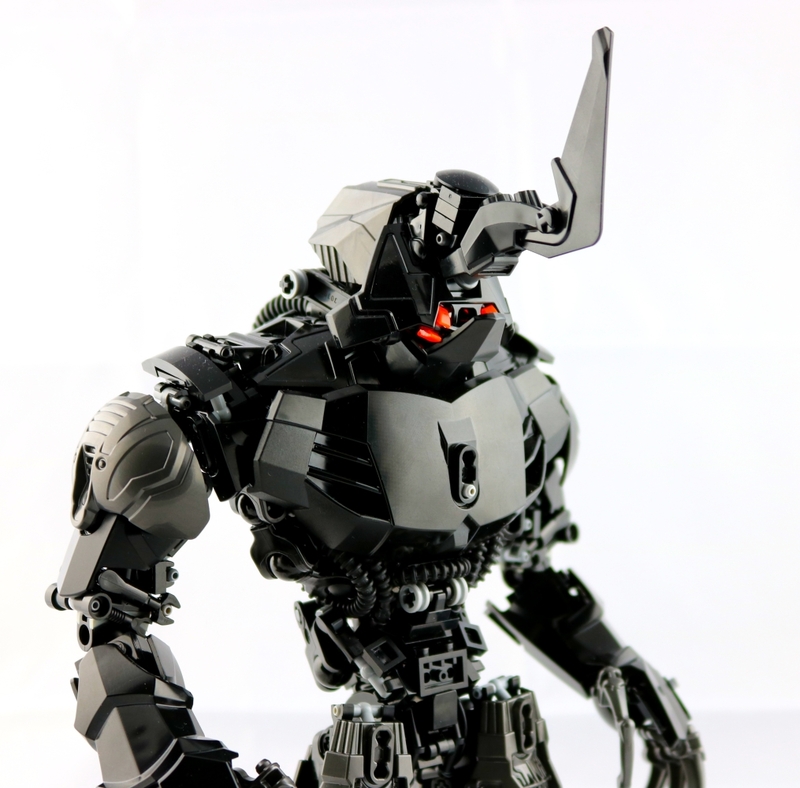 I think the last time that happened, the Piraka had just been announced and I wasn't too interested in Bionicle at the time (although I got interested in it again when the Inika came out, so that was pretty short lived). Well, who knows, maybe I'll get some Lego on my Birthday in t-minus 5ish days. All in all a great haul, for sure. 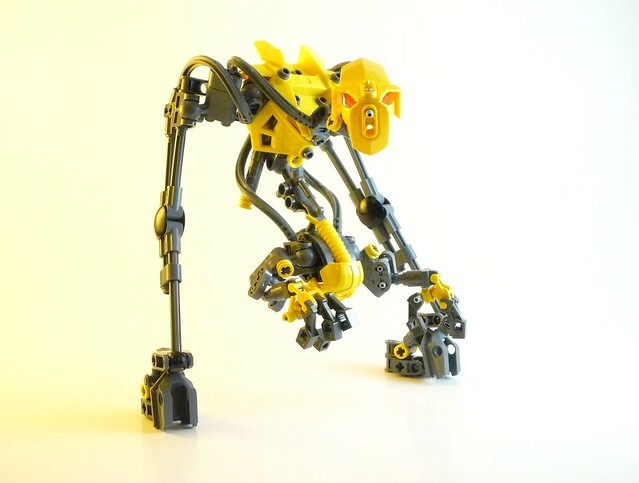 So, dunno how many of y'all know about Lego CUUSOO, but essentially people can post up "projects" and if there's enough support from other users, Lego will review the project and it has a shot at being a set. 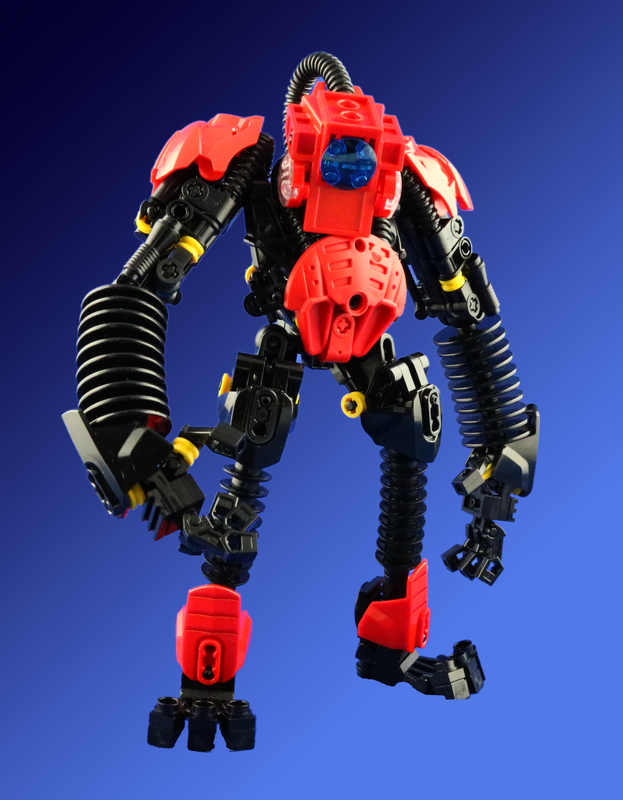 So, I thought that I would post up my old Midak Mech on it and see if it gains any traction (because, personally, seeing a MOC become a Lego set would be pretty awesome) and also because I think it's the most viable one. 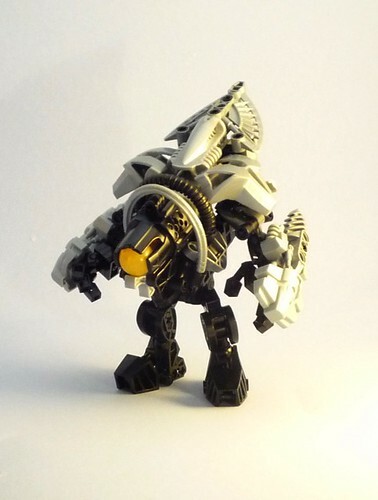 Feel free to support the project if you think it's a good idea, and let me know if you think there are any of my other MOCs that would be a better idea for a CUUSOO project instead, or something that would make this project better. I'll take more pictures once I make a new lightbox, my old one got smashed when I moved out of my apartment. There are some spots on this guy that I want to touch up, but I'm happy with the overall look of the MOC, especially the silhouette. So glad to be done with finals, going to be enjoying my 2 week winter break. Already have at least one MOC in the works this break, we will see if I build any more. Looking forward to going back to work on the 3rd, but I miss being at school. It's kind of surreal thinking about the fact that I'm going to be 20 in less than 13 days. Time sure does fly. Been awhile since I've been here or had really anything to do with Lego. Maybe I'll build something over Thanksgiving break, but I've been crazy busy these last couple of months. Life's been crazy, for sure. I've been considerably busy this school term, what with doing 20 credit hours, pledging to a fraternity, having my own radio show, going to track meets, doing homework, participating in the Student Alumni Council, and a bunch of other stuff. So, because I felt that I didn't want to get blindsided by all of the stuff I'm going to have to do once my classes start to ramp up (and I know they will, considering 3 of the 5 classes I'm taking are Sophmore I level classes and I'm only a Freshman II), I went to Home Depot and bought a 4x8 piece of dry erase board, had it cut up into four equal segments, and started to put together a week calendar (which is what is posted), a homework calendar, and an event calendar (for stuff happening in the future). So yeah. I go home tomorrow for easter, and who knows, maybe I'll grab some of my pieces and take them back with me. I beat single player on Portal 2 in under 8 hours, way solid game. I won't give out any spoilers about what actually happens in the game, but J.K. Simmons as Cave Johnson is awesome. Been super busy recently, between working overtime, moving out of my apartment and into the dorms, and starting up my new school term and pledging for my fraternity. Really disappointed that I didn't build anything for the MOCAthalon. Anywho, y'all shouldn't expect much new from me for awhile, as my parts are at home. So, I think it's just insane how much my life is different than what it was like right when I graduated high school (which was only 10 months ago). There was a month of downtime between when High School ended and "College" (in my case, "Work") started. Like, stupid rich. Because there are just somethings that you can only get when you're so rich you don't know what to do with yourself. Just to note though, at 180k (USD), the Morgan Aero Supersports is cheaper than a 458 Italia by about 130k. And I totally rather have the Aero. Cool, forums are back on line. Anywho, going on my Brotherhood Ski Trip this weekend, pretty stoked. Cajun And I Are On A Team. For the 2011 MOCAthalon over on MOCPages.